The Best Of Both Worlds Mingle With "Mr. Cartoon" At Socal Harley-Davidson Dealer. 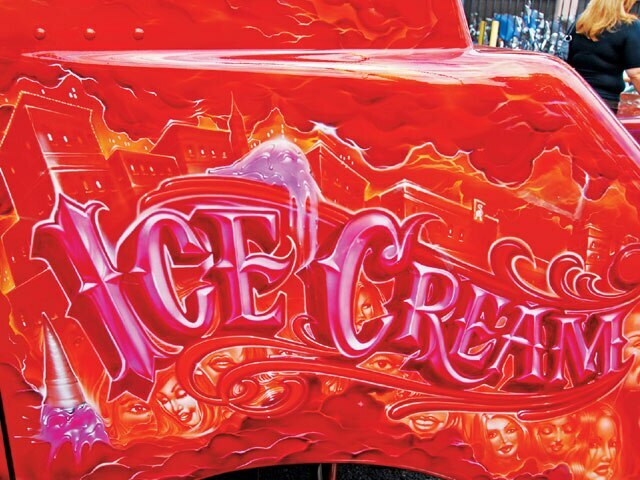 Paint, chrome, dolls and an ice cream truck. That’s what you get when you blend Harley-Davidson and the famed Lost Angel collector doll together. 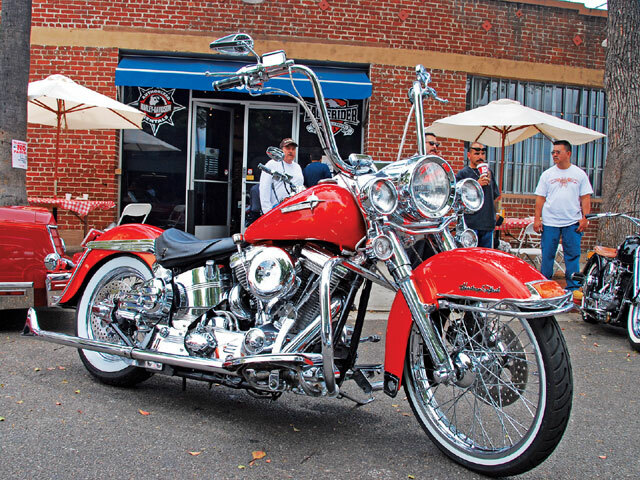 Glendale Harley-Davidson in Glendale, California, and artist “Mr. Cartoon” hooked up to promote a street scene-type car and bike show. 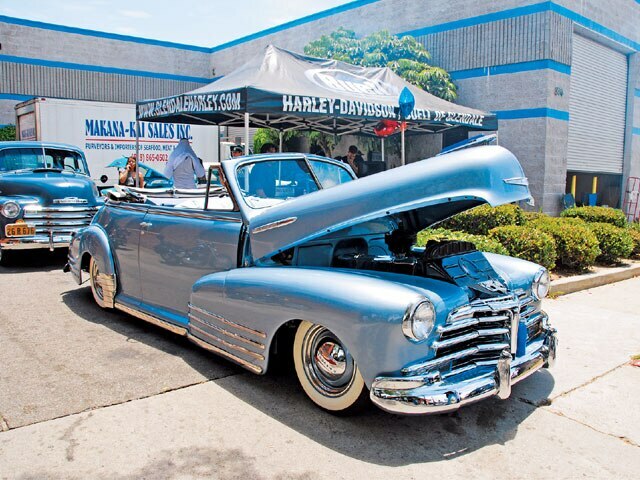 Lowrider-style motorcycles, bombs and traditional cars were displayed to the amazement of the crowd. Everyone had a chance to witness the best of both worlds, two different types of cultures complementing and mingling together very well. 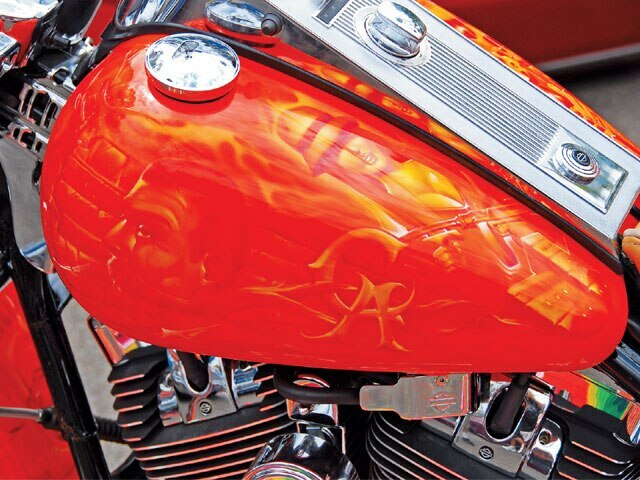 Both unique styles are very characteristically chromed-out, custom painted, and themed with murals that depict the styles of their motorsport cultures. 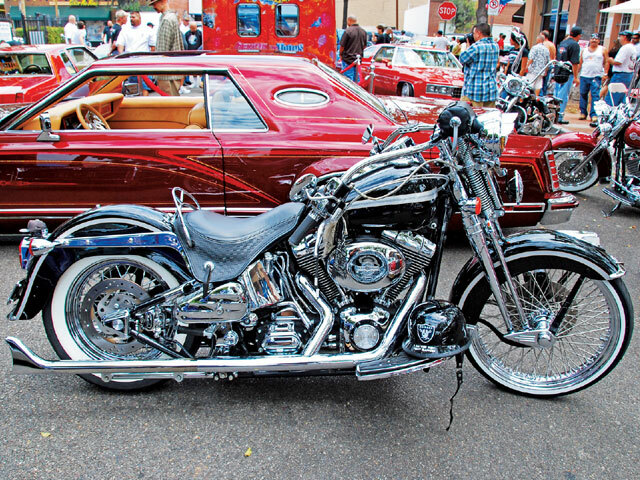 And then there’s the other type of motorcycle style that resembles the nostalgic look of the lowrider bombs, with the two-tone paint jobs and extra accessories that dress up the old-style classics. 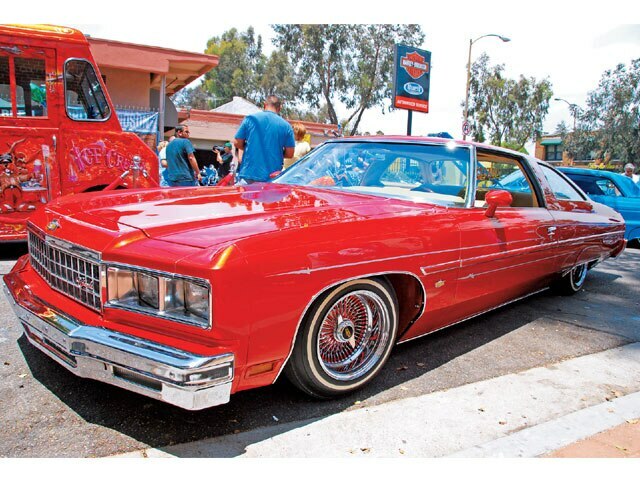 There are now more numbers of lowrider owners kick-starting this trend as an extension of themselves. 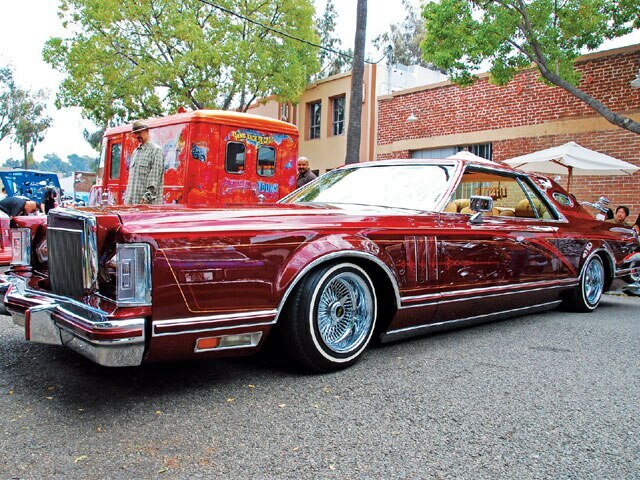 They’re building a second lowrider, only a two-wheeled version. 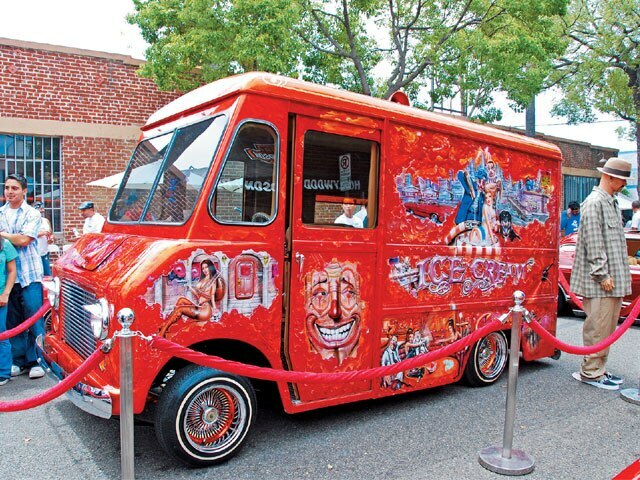 Another thing about this event, other than Cartoon breaking out with his collector doll Lost Angel Two, was the free ice cream that he handed out from his one-of-a-kind self-muraled lowrider ice cream truck. Everyone got along great at this multicultural event. Along with the great summer weather, it just shows how people can get along when the entertainment is a ’76 Chevy Caprice “glasshouse” alongside a Harley Heritage Softail. 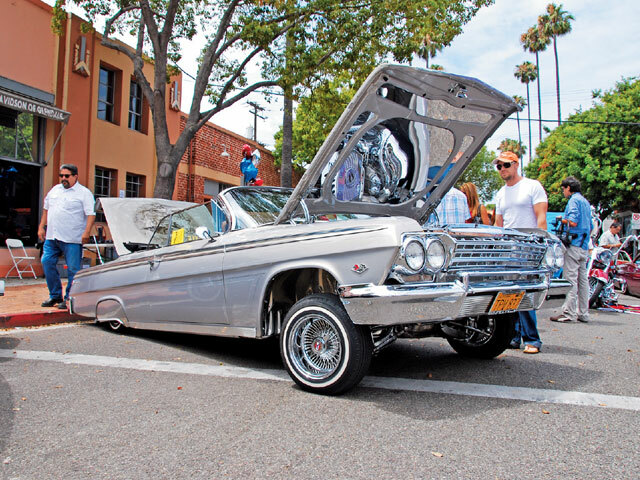 “Live to ride, ride to live” at a lowrider motorcycle show!